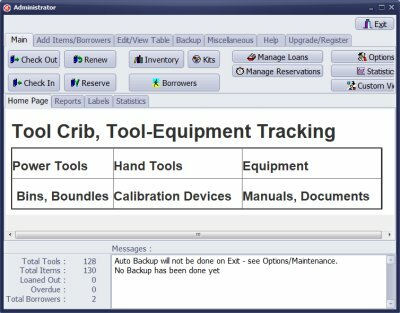 Handy Equipment Manager: tool crib, equipment room tracking with check-in and check-out . Do you have power tools, hand tools, or other company equipment that you check in and check out on regular basis to company employees? 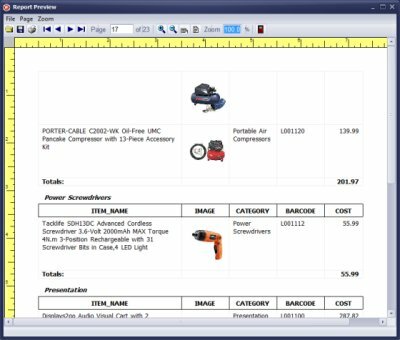 Do you need a Windows software solution for managing your tool and equipment catalogs? Do you need simple and easy to use application that everyone can operate? 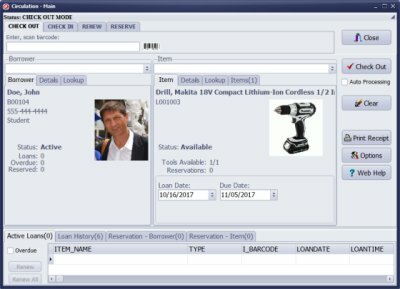 Try our equipment tracking software with check in and check out feature. With barcode scanners and barcode labels you can quickly process check out and check in transaction. If you are not ready for automated processing, don't worry, you can handle all transactions manually. Our system will let you convert any time when you decide to do that. Our handy equipment tracking software solution is built on the experience that we had gained when we created our small library system, mainly run by volunteers and casual library administrators, the ease of use was the most important software development factor. There are many complex systems. They provide complex accounting features (calculate depreciation), offer only cloud access (you need constant connection with the web), network and SQL database engine installations create headache for tool crib managers. In many cases like the above you have to accept very high cost, usually over $1,500. We are not even going to mention the learning time required to be able to handle the system like this. Review improvements in 2.5 and 2.6 versions. How to track consumable and inventory items? Handy Athletic-Sport Equipment Manager is ready to download. How save custom view for future use? How to display free add-ons on the desktop? 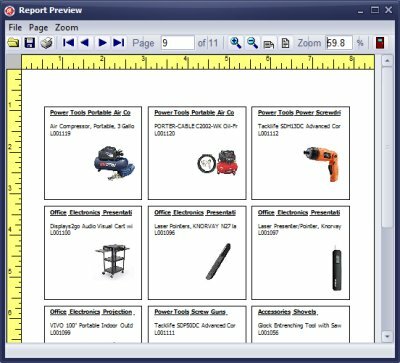 New, durable label templates for tracking equipment are predefined. Ready to print barcode labels. Benefits of implementing barcode labels and barcode scanner. How to access search/replace features? How to sort inventory data?